They fall asleep curled up around each other. 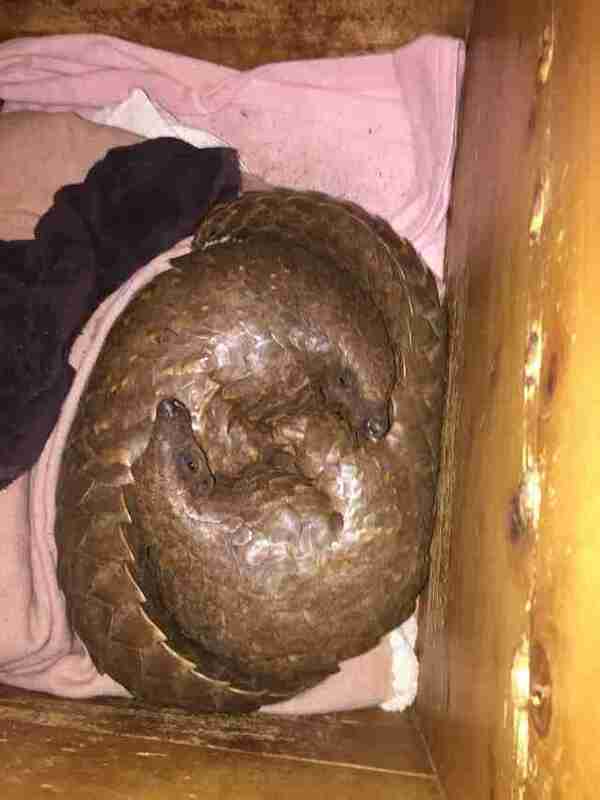 When a baby pangolin named Batikana was confiscated from the illegal wildlife trade with his mother last December, rescuers hoped that he’d still be able to have a normal life, nursing from his mom and getting the love he needed to survive. But after a few days at the Tikki Hywood Trust rescue center in Zimbabwe, it became clear that his mother had been too disturbed by being stolen from the wild to keep nursing Batikana. Rehabilitators made the tough decision to release Batikana’s mother to a protected and safe environment without him. It was determined that Batikana was better off staying at the rescue center to get stronger — even if it meant he’d never see his mom again. Rescuers bottle-fed the little baby to comfort him and keep him alive. 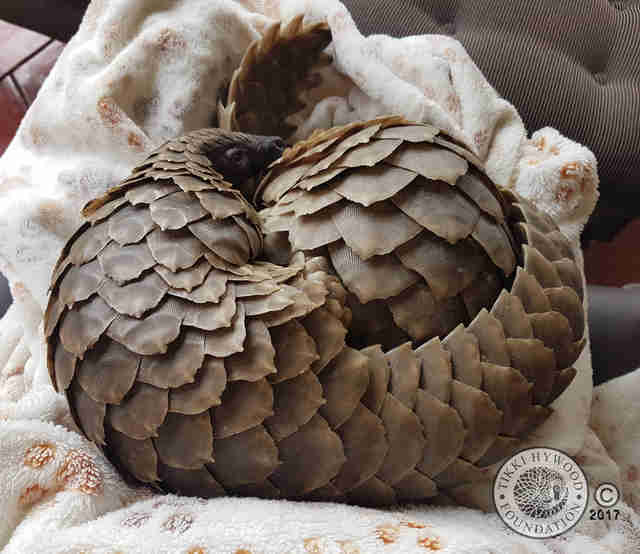 Three days later, another victim of the illegal trade was saved and brought to the rescue center. 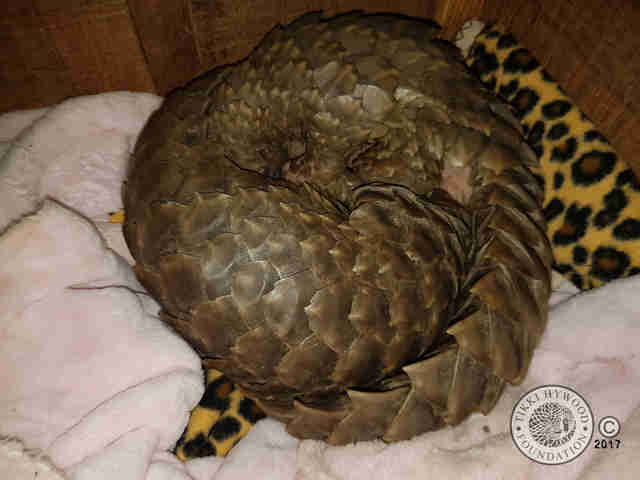 This pangolin was a slightly older female. 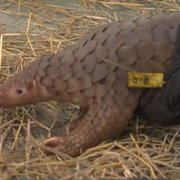 Rescuers named her Ayana, which means “beautiful flower.” It’s assumed that Ayana’s mother died while being kept in captivity for the illegal trade, which has claimed the lives of at least one million pangolins in the last decade. 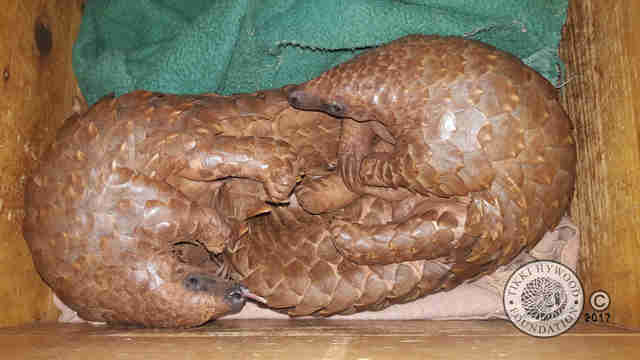 It’s actually pretty unusual for pangolins of the same age to bond — but Batikana and Ayana did almost instantly. The shy, nocturnal animals curled up around each other, snuggled and fell asleep. 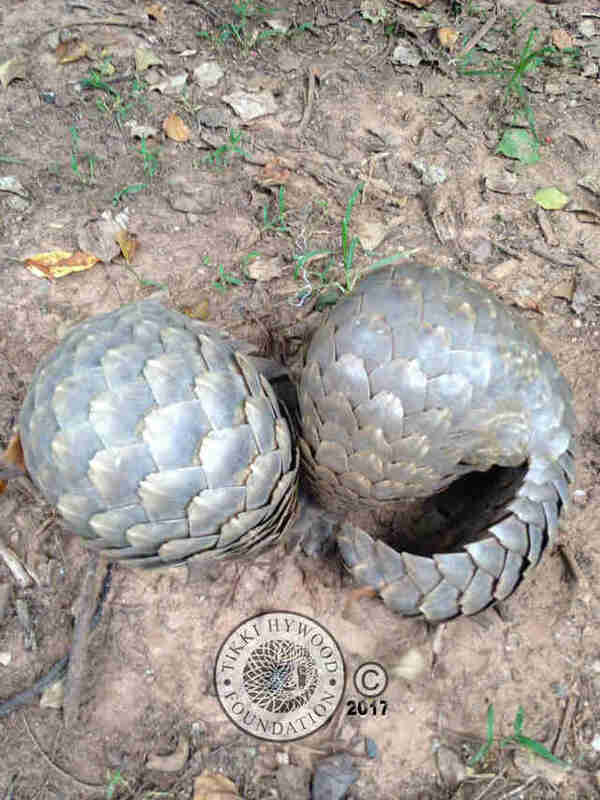 The pangolin is the most trafficked mammal on Earth, stolen from the wild in Asia and Africa and smuggled into the Far East, where pangolin scales are believed to have medicinal properties and pangolin meat is considered a delicacy. The incessant demand is driving animals like Batikana and Ayana toward extinction. It’s expected that at the beginning of 2018 these best friends will be strong enough to survive in the wild. “They will definitely be released together!” Connelly said. 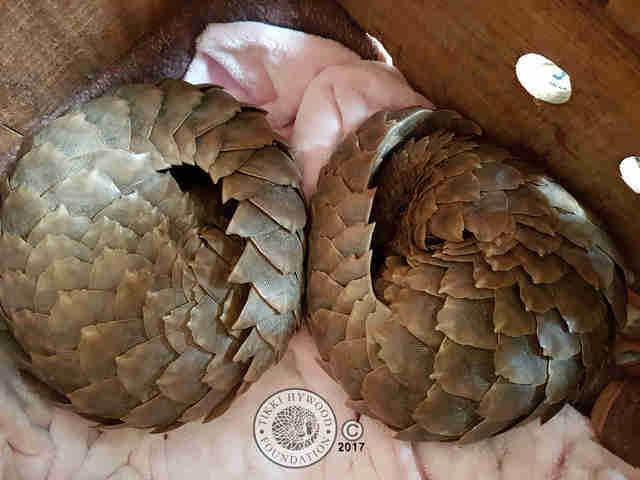 To help Batikana and Ayana grow up strong, and to help other pangolins in need, you can make a donation.